It is in my blood. It is in my bone. It is in my brain. My mother and grandmother had other lessons, ones to please at table and dancing. Proper chewing, proper speaking, proper walking— only expected, of course, when we are in control of our limbs. My lessons have taken a different course, my other instructors quietly dismissed once I learned all that was expected. 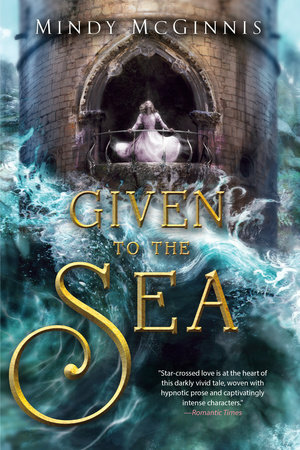 The sea waited until the sisters had married and had children of their own before it called for them, the price of its leniency to the blood of their line. For the children went too, and their children after them, the first twitches of their childhood pulling them toward the water, the final coordinated movements driving them deep into the waves, the dance of death one their kingdom deemed the will of the sea. And so it continues. Their footprints in the sand not returning, my feet now itching to follow. Medalli’s line—mine—remains strong, the other two Sisters falling short, the last names in their column females who did not produce heirs, the ink that wrote them now faded with time. He’s quiet for a moment, and the lady on the bench next to ours fills the hall with the clicking of her wooden knitting needles. One foot rests casually on the ball of coarse wool to keep it from rolling away as she works. She’s assured, content. As a citizen of Stille, she is entitled to speak to the king, and her turn will come. Eventually. “No . . .” My voice fades away. I have no words to explain succinctly, only memories from my childhood when I was called the baby prince, and then the young prince, and now there’s a hesitation, a slight pause before acknowledging my rank. There is no name for the third in line, one whose hands will wither with age long before they hold the scepter. I’ve come to hate the blank space before my given name, the deferential glance of the servants as they search for a title that represents nothing. So I make it easier for them, and for myself. The twins move through the forest, their footfalls lost in the leaves, their shadows blending with the trees. Their hunting cloaks waft around them, bulky hoods resting on their shoulders. Donil hesitates a moment, his eyes catching something in the dying light of the setting sun. He steps purposely on a stick, the sharp snap gaining his sister’s attention. Dara comes to his side, her eyes not as trained at deciphering the forest floor. “Because of that.” He indicates another sign, barely visible. Dara squats to the ground, eyes tight in concentration. “Because of that,” Donil says, pointing at a third sign. “We’ll wait, then,” Dara says, pulling her hood forward and lying flat on the ground near the crisscrossing tracks. Donil does the same, his shoulder touching hers, their cloaks overlapping to share heat as the sun leaves the sky. Dara exhales softly, a low hum, and the leaves that were softly drifting to the forest floor change direction. The twins hardly notice the first few settling on their backs, but as Dara continues her quiet call, the leaves layer on top of them, their slight weight a comfort that keeps them warm and hidden. “You have your uses, even if you can’t track,” Donil says. “You track it, I’ll kill it,” she shoots back. “No one is hungry in Stille,” Dara says, her low voice twisting the words to make it sound like a bad thing. “Put your teeth together and keep them that way.” She lashes out in irritation to punch his arm and dislodges half the leaves she’d called down to them. She swears in Indiri, a word that only they can understand. Dara hums again, but the sound is weaker now, and threaded with strain. The leaves that are falling drift toward them for a moment, then return to their natural course, the breeze stronger than the little magic Dara has left in her. “More will fall while we sleep. It’ll be enough to keep us from being seen,” Donil says, all teasing gone. They lie quietly as night settles in the forest, the leaves falling of their own accord and not Dara’s will. Her breathing evens out as her temper settles, and Donil chooses his next words carefully. Dara gives him a dark look, the one that has kept stable boys and Stillean nobles alike from troubling her. But Donil’s smothered humor only vibrates through his body, spreading to her own until her smile is drawn out. 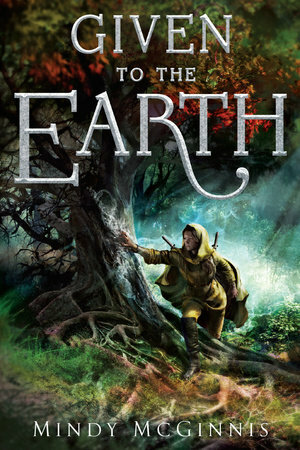 See the EXCLUSIVE Cover Reveal for GIVEN TO THE EARTH by Mindy McGinnis!